On July 26, 1953, Fidel Castro led a group of young rebels on an assault of the Moncada military barracks in the eastern city of Santiago. While that initial assault was unsuccessful, Cubans still consider it the beginning of the revolution that eventually saw the ouster of dictator Fulgencio Batista on New Year's Day, 1959. 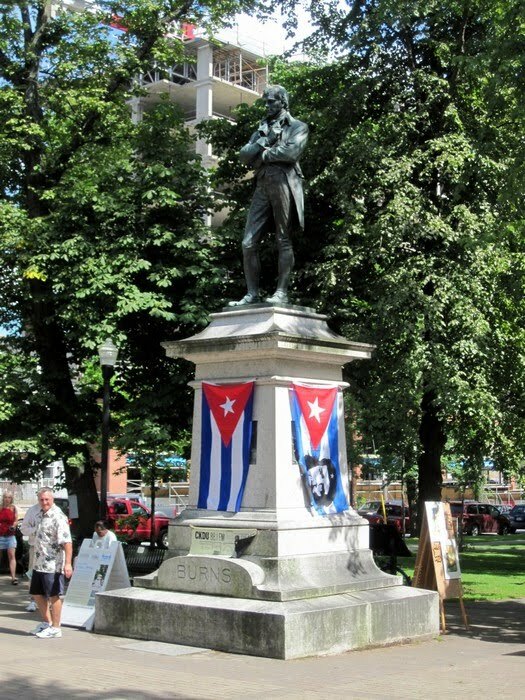 This year marks the 57th Anniversary of that glorious victory for the Cuban people, and the Cuban community in Halifax celebrated this year with its own annual Moncada Day celebration in Victoria Park. I was unaware of the celebration and was on my way to a prior engagement, so I was not able to document it in full this year. 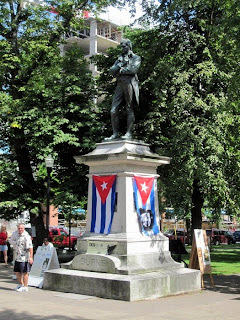 However, an excellent video of the 2008 Moncada Day celebrations can be seen here, which will give those curious viewers a good idea about the purpose and nature of the event.